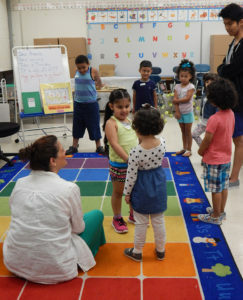 A significant number of students are entering the Stamford Public Schools in kindergarten without necessary skills to be successful as they begin their academic career. While some students have had access to critical resources prior to kindergarten, there are too many students entering Stamford’s public schools without a quality preschool experience. Data from 2016 indicates that approximately 21% of the 1,300 who entered Stamford Public Schools had not had a preschool experience. This study supports the theory that students, families and communities significantly benefit when a child attends quality preschool. SPEF’s Summer Start Program supports the needs of economically disadvantaged families who have students entering the Stamford Public Schools. It is a six-week, half-day early education program for entering kindergarten students who have not had a formal preschool experience. 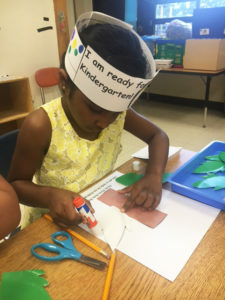 While it focuses on developing the literacy and mathematics skills aligned to the Connecticut Core State Standards, it also serves to alleviate the anxiety and stress many children feel when starting kindergarten. The lessons are theme-based, hands-on experiences aligned to critical social and literacy preschool standards. Click on the link below to sign your child up for this program!